©2006 CSA Telltapes Ltd. (P)2006 CSA Telltapes Ltd. If you could sum up A Pelican at Blandings in three words, what would they be? Have you listened to any of Martin Jarvis?? ?s other performances before? How does this one compare? A splendid book, beautifully read by Martin Jarvis; relaxing, delightful, clever, and light-hearted. 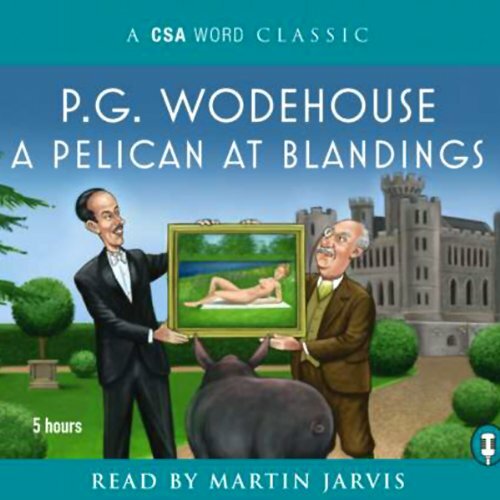 Would you listen to A Pelican at Blandings again? Why? Yes, the language is wonderful and the reading brings out all the humor. What was one of the most memorable moments of A Pelican at Blandings? Have you listened to any of Martin Jarvis’s other performances before? How does this one compare? Many moments moved to laughter. 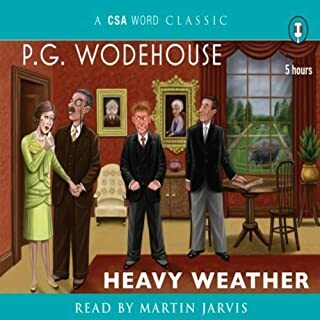 I wouldn't change anything, as Wodehouse remixes all his standard characters and plot devices for another humorous romp. 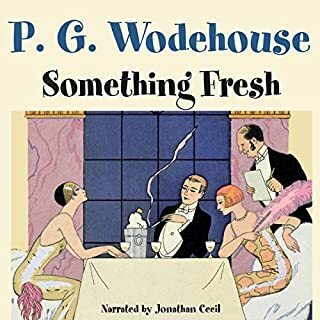 Would you be willing to try another book from P. G. Wodehouse? Why or why not? 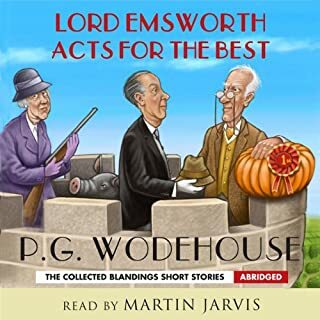 I am looking forward to other Wodehouse books read by Martin Jarvis. What does Martin Jarvis bring to the story that you wouldn’t experience if you just read the book? He brings a cadence to the dialogue and a brisk breezy pace which set a proper tone. Entertaining enough, but the plots and characters don't dovetail so tightly as they do in most Wodehouse stories. 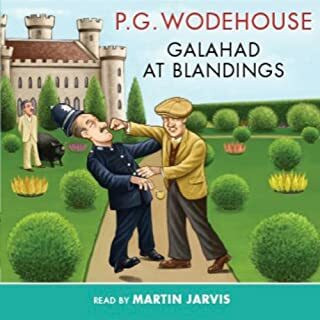 This is another good Wodehouse story. 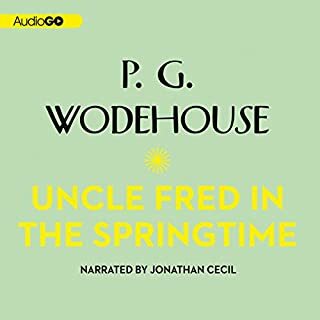 Some readers might get tired of Wodehouse's use of the same plot devices over an over, and this would be a fair criticism. There is very often a case of mistaken identity and someone trying to steal something in order to avoid some embarrassment. 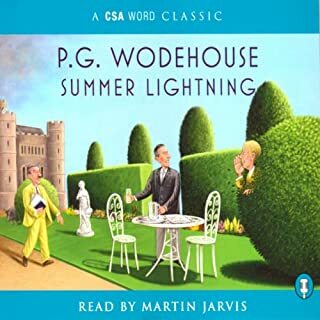 And yet the characters are always good, there is always a decent amount of Wodehouse's dry wit, and a good human touch. Martin Jarvis is a great reader who adds a special dramatic touch to the characters and events. So all in all, great entertainment value. And this is, after all, what Wodehouse is generally about. Very well narrated. Enjoyable light hearted fun. I felt the narrator gave a perfect rendering of all the characters. Gally Clarence and Aunt Connie especially! Recommended. Brilliant storytelling by Martin Jarvis. The story has the clever younger brother of Lord Emsworth, Galahad orchestrating the action. It is a lovely change from the usual Jeeves and Wooster. All ends happily ever after as you would expect but a jolly romp on the way. Absolutely excellent.